Starting in May, we’re not ONLY going to be open on Wednesday evenings, but we’re going to be introducing MOVIE NIGHT in the Analog Room! 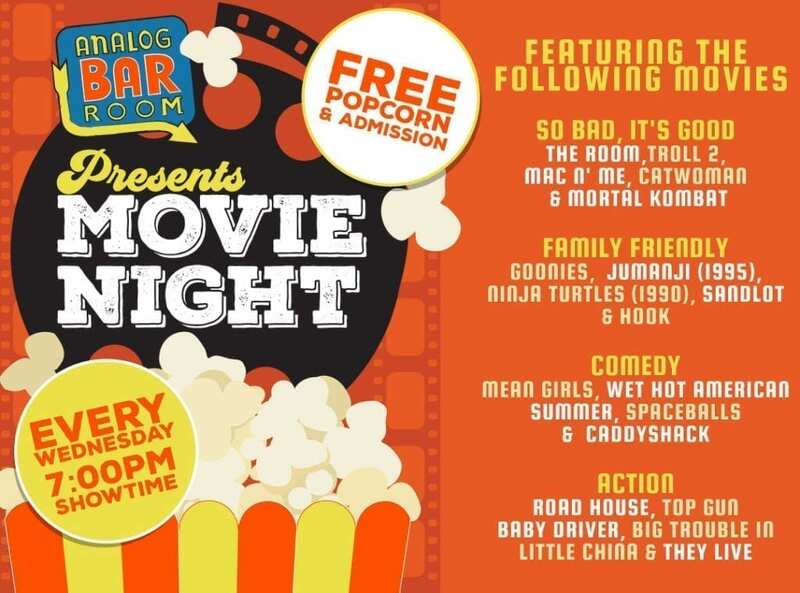 Each Wednesday, will be showcasing a different theme: So Bad, It’s Good, Family Night, Comedy and Action. Some films you can expect to check out are Goonies, Road House, Sandlot, Spaceballs as well as those great classic gems like Mac N’ Me, Troll 2 and everyone’s favorite comic book super hero, Catwoman! And to make it more fun for you, and your movie going experience, we’ll be handing out drinking games to make the evening interactive. So be prepared to take a sip when a Mysterious Alien Creature drinks a Coke or everyone’s favorite Cooler tells his staff to “Be Nice”. 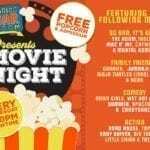 We’ll start the movie around 7 and handing out free popcorn to those who care to enjoy the film. And of course, there’s NO COVER to attend! We’ll be kicking off this weekly event, Wednesday, May 1st, with the BEST of the WORST, THE ROOM. Spread the word on Facebook and Instagram, tag your movie going pals and let us know some movies you would love to see with us and check out the schedule below.